New Hampshire-based researchers are witnessing something abnormal and troubling in the state's northern woodlands in recent years. They report that the moose population is being threatened, with a sharp increase in fatalities among its young being an alarming "unprecedented " development. 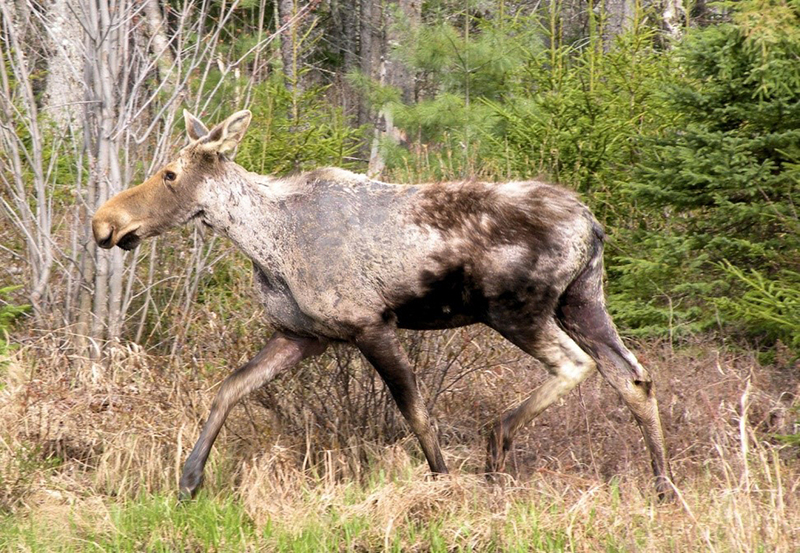 In a new study, these scientists found that 70 percent of moose calves have died in a recent three-year period, with the cause attributed to the dramatic rise in winter ticks that feast on their blood, "causing emaciation and severe metabolic imbalance." For the years 2014, 2015 and 2016, 179 calves aged 9-to-12 months, all tagged with radio-frequency markings, were followed and observed. Over that time researchers discovered that 125 had died, with the primary cause of death for 88 percent of them being blood loss. Upon post-mortem examination, an average of 47,371 winter ticks were found – on each calf. “Normally anything over a 50 percent death rate would concern us, but at 70 percent, we are looking at a real problem in the moose population,” stated Pete Pekins, a wildlife ecology professor at the University of New Hampshire, in a statement. “The changing environmental conditions associated with climate change are increasing and are favorable for winter ticks, specifically later-starting winters that lengthen the autumnal questing period for ticks,” the time when they look for hosts upon which to dine. Humans are almost always unaffected by this winter tick, also known as the Dermacentor albipictus (see photo), so it poses no risk. Spikes in tick infestations do periodically take place and researchers say that's expected. But those increases typically last up to two years. In this study, which was recently published in the Canadian Journal of Zoology, scientists note that a significant increase in the winter tick population in northern New Hampshire and western Maine has taken place in five of the last 10 years.